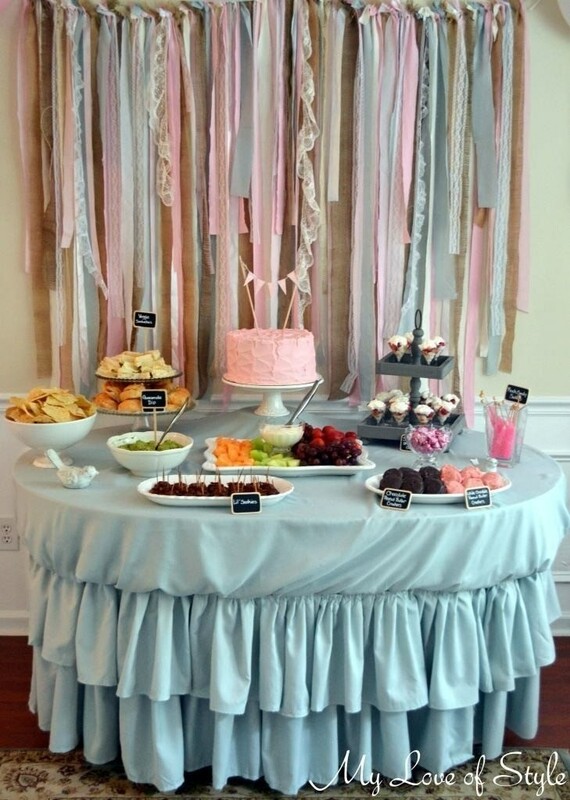 A Backdrop is the perfect addition to any party, especially if you are having a dessert table or candy buffet. 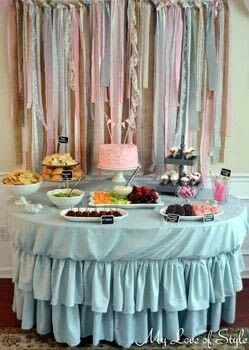 I see a backdrop as the foundation that defines your parties theme/color scheme and is a great way to frame your dessert table or candy buffet and really make it pop. 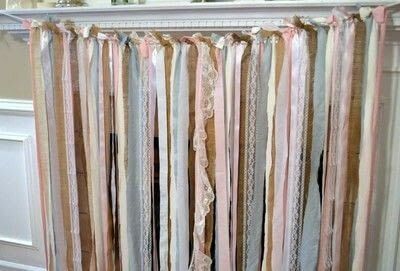 There are so many types of backdrops out there that you can both buy or DIY; however if you are on a budget then I highly suggest making your own backdrop, as you can make a customized backdrop that sets the tone for your parties theme in a few hours. 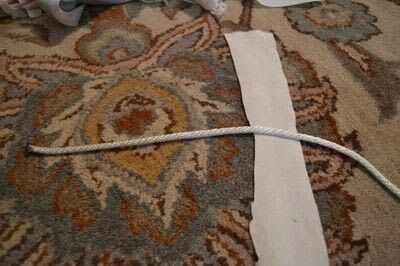 With that being said, I’m going to show you a quick and easy tutorial for a Fabric Garland Backdrop. This is one of my favorite backdrops and it not only looks great but it’s extremely inexpensive to make. 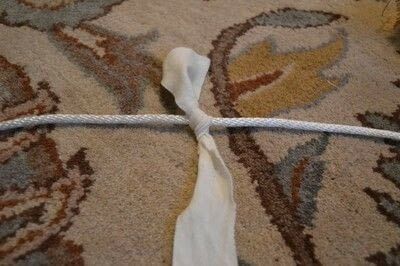 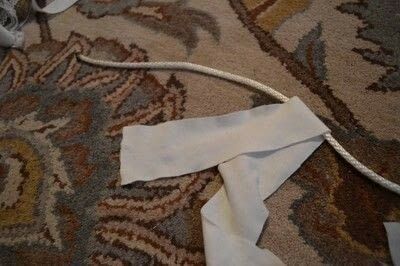 Measure and cut your rope or string. 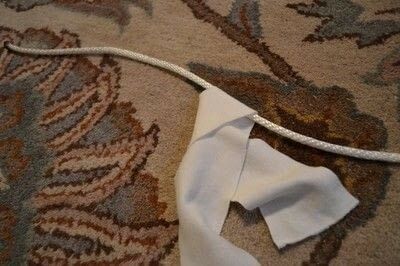 To determine the length of your rope/string you should take the width of the space that you are going to hang the fabric garland backdrop and then add about 16″ (This will give you about 8 extra inches on each side of the backdrop for hanging). 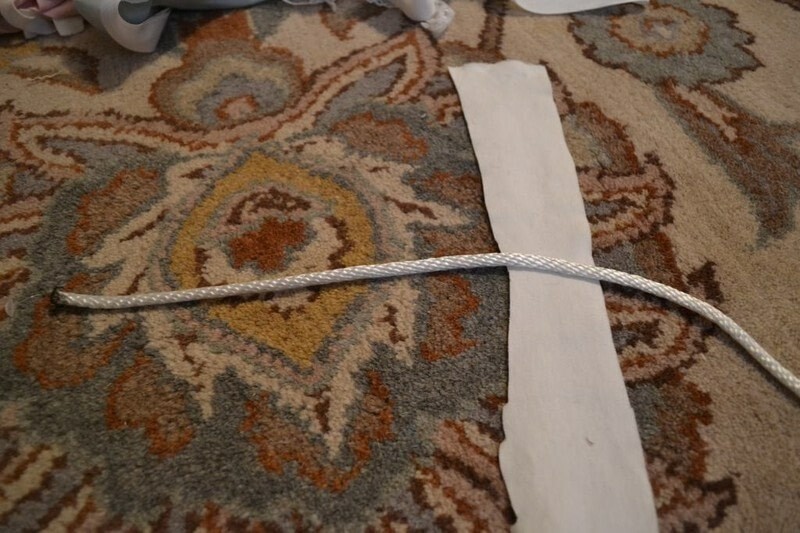 My rope measured 76″ (60″ + 16″). 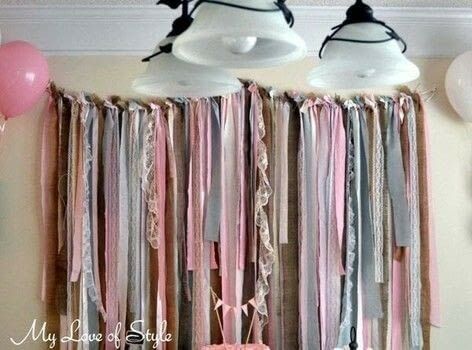 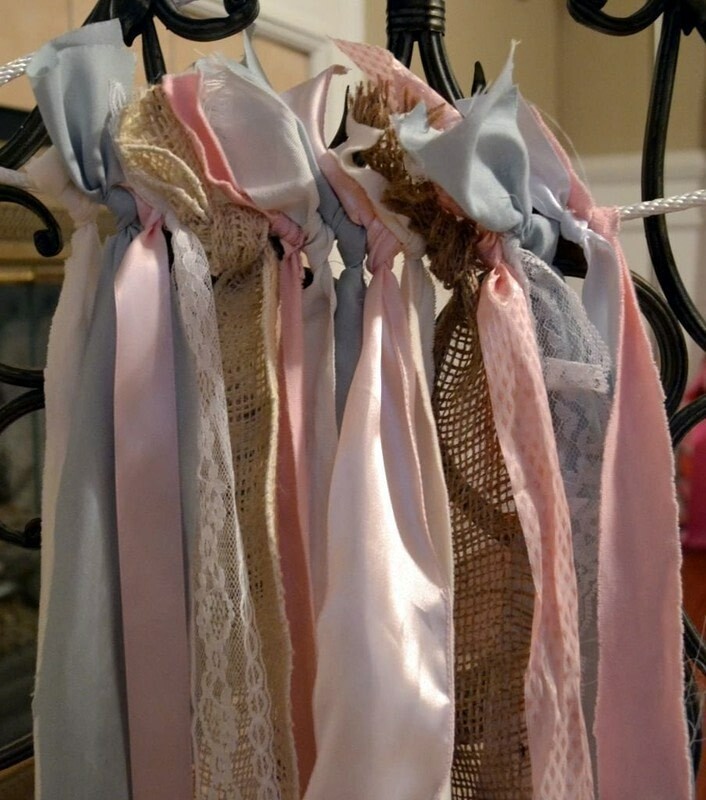 Now you can go back and add any random strips of fabric and ribbon that you have that are different lengths. 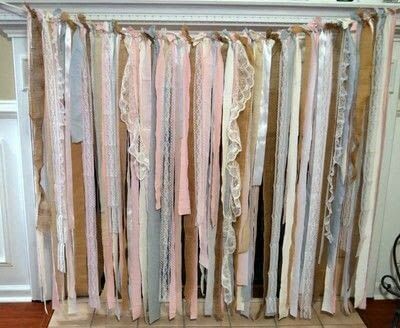 This will add fullness to your fabric garland backdrop. Now you can hang your DIY Fabric Garland Backdrop.